Not long ago, Amazon recommended a product I'd never heard of before. The recommendation was probably influenced by my recent purchase of Italy cloths, facial essence, and other asian beauty items. So when Heroine Make's Volume and Curl mascara popped up as a recommendation, I glanced at the overall rating, and immediately clicked. Countless customers expressed how pleased they were with the mascara's ability to keep lashes curled all day. Apparently, the staying power of Heroine Make is unparalleled. Without much thought, I purchased and hoped for the best. I have nearly a dozen mascaras in my collection. As a person with extremely short lashes, I'm desperate to find something that actually works. I can confidently say that Heroine Make is unlike any of the other brands I own. When you open the tube and check out the wand, you may notice that it doesn't have a fancy design like we're seeing from other mascaras. In all honesty, I was a little disappointed. But the magic happened after application. Here's what makes this mascara exceptional. The most obvious difference between this mascara and others is the thickness of the formula. It doesn't create clumpy lashes. But it does coat and saturate the lash like nothing else. And when I touch my lashes, after the formula has dried, I can feel the product. Asian lashes are typically straight. So when they curl their lashes, normal mascaras aren't able to keep their lashes curled. This mascara promises to keep the curl all day long. I hate putting on mascara in the morning, then checking the mirror later to find that my lashes don't look the same. With Heroine Make, I have no worries of that happening. Because once the product is applied, and the curl is created, it stays firmly put (sometimes for days). I'm pretty sure there is no other mascara that has more staying power than this one. Heroine Make is "super waterproof." This stuff does not come off after I apply it. In fact, I still have mascara on even after I wash my face. Apparently they make their own mascara remover to help dissolve this eternal mascara, but I actually like having on small traces of mascara even if I'm not wearing makeup. It gives me look that I wanted to experience when I got my lashes lifted. Lash lifting is supposed to give you the look of having curled lashes at all times. This mascara did a much better job and for way less investment. 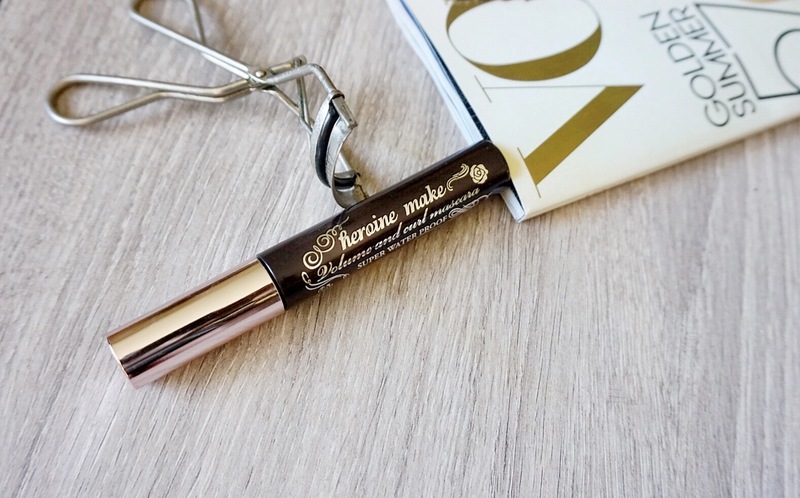 One reviewer said this is her ultimate go-to summer mascara because it stays put even when you're sweating, swimming, dealing with high humidity, whatever. When she travels, Heroine Make is the only mascara in her travel beauty bag. Lastly, this is quite possibly thee blackest mascara I own. Heroine Make's pigment is what really helps make my lashes stand out. Although it's not a lengthening formula, my lashes appear longer simply because they stand out against my skin. I love this mascara so much that I also grabbed their lengthening version with a curved wand. I'd love to layer it with their volumizing formula to see what happens. Based on this pic from a happy customer, it looks like I'm in for a treat. If you weren't blessed with a set of long lashes, I invite you to explore Asian brands that know how to cater to people like us. This may be what you've been waiting for all your life. I need to put this on myus try list. Summer is coming and my mascara always runs. Shay, running mascara will be a non-factor if you use this brand. Hi Ebele! 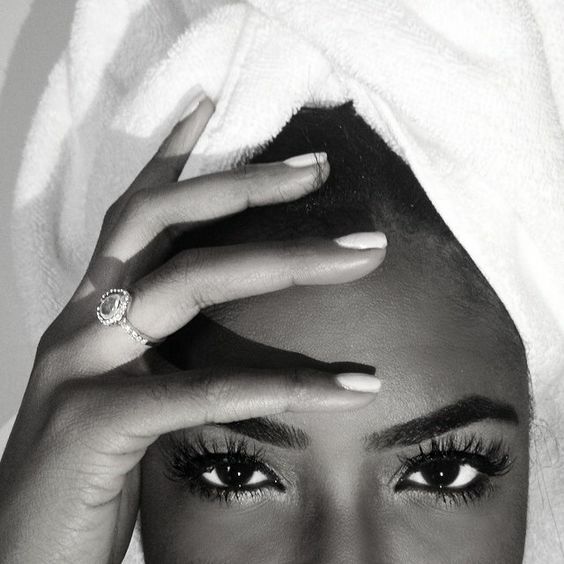 Do you have short, curly lashes or long, curly lashes? Hi Nadege. I have medium length curly lashes. I think Japanese mascaras could help. They don't actually curl your lashes, they "stiffen" them. Also, play around with warming your eyelash curler with a hair dryer before using. Warming the curler may actually help straighten them a little (like using heat on hair). Be sure to test the curler on your skin first to make sure it isn't too hot. The Japanese mascara will keep the lashes in place so they don't curl up again as the day goes on. Hope that helps.